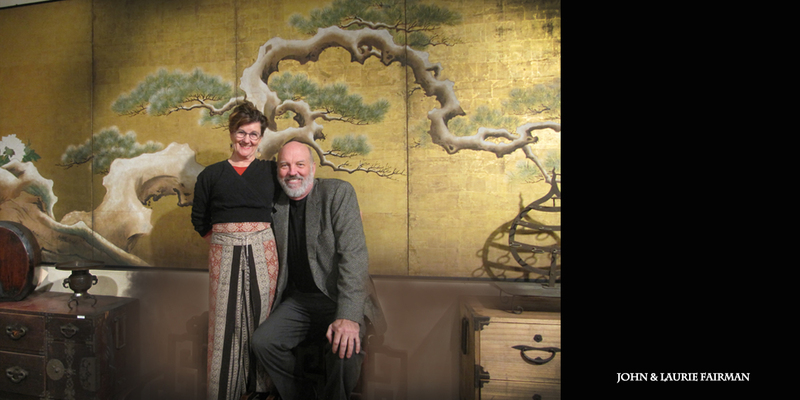 Founded by John and Laurie Fairman, Honeychurch Antiques & Glenn Richards specialize in fine Asian antique art, all hand selected and one-of-a-kind. Honeychurch was first established in Hong Kong in 1963 on Hollywood Road long before Hollywood Road became a world famous center for Asian antique art. Honeychurch Antiques in Seattle carries an eclectic blend of Asian art from as early as the fifth millennium BC up to the early half of the 20th century. Furniture includes 18th -19th century Chinese and Japanese furniture, paintings, screens and prints, as well as porcelains and pottery including Han Dynasty (3rd century B.C.) burial figures from China, and 14th century Vietnamese porcelains discovered in an early shipwreck. Items range from exceedingly rare objects worthy of any museum's collections, to the wonderfully decorative antique perfect for home décor. Both galleries have earned an international reputation for integrity in business, in addition to well-chosen and thoroughly researched art. Our travels take us to Japan, China, the Philippines, Thailand, Indonesia and India where we hand select each and every piece. Merchandise includes: Japanese and Chinese chests of the highest quality both new and old; architectural elements from all over Asia; Chinese art deco furniture from Shanghai; old recycled woods from the Philippines, environmentally friendly carpets from Nepal, superior quality painted screens, baskets, ceramics and textiles. In 2015 Honeychurch Antiques and Glenn Richards closed their galleries in downtown Seattle due to rising costs. We now operate exclusively out of a warehouse located 50 minutes from downtown Seattle. Appointments to see the collection can be made by calling 360-445-2576 or emailing info@honeychurch.com. Our website is now online for viewing but newer photographs of our current collection will be added weekly. Please email info@honeychurch.com for more detailed photographs or for more information. Storing our merchandise on our own property brings our operating costs to near zero. Consequently our list prices will be at unprecedented wholesale levels. Our minimum prices will be 50% of what they were when we operated in Seattle proper. We are very excited to bring you more for less.